CeleBeaute Synbiotics’ proprietary formula is entirely food based and enhanced with chicory root inulin, renowned for its prebiotic effect. 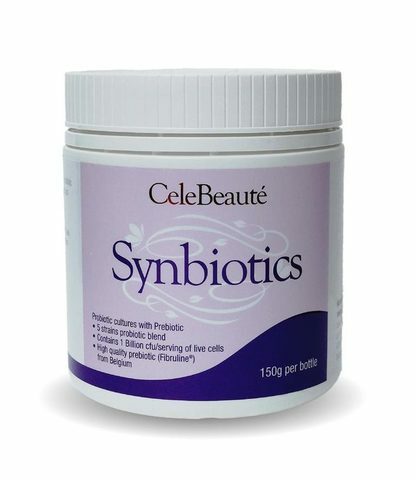 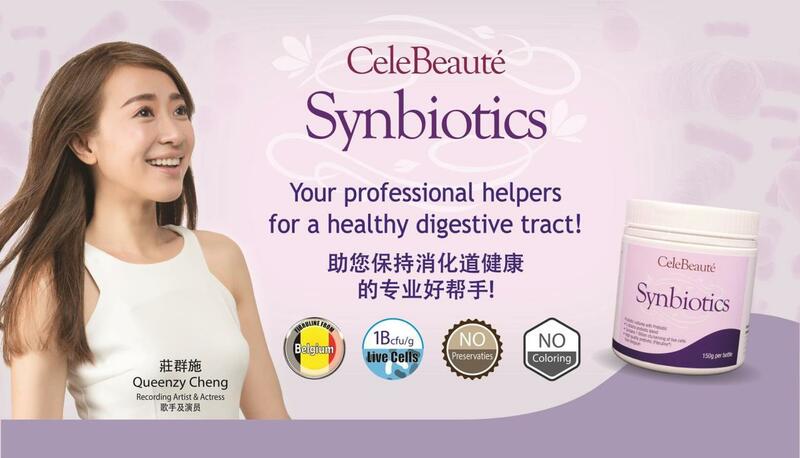 In addition to potent superfoods, CeleBeaute Synbiotics boasts 1 billion CFUs of 5 well researched probiotic strains. 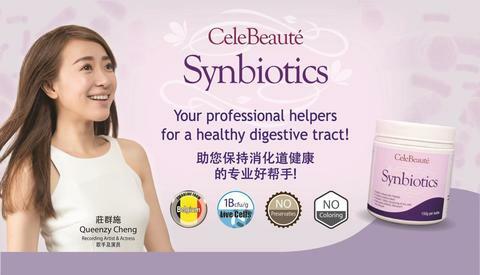 It helps to restore the balance of flora in the digestive system depleted by stress, antibiotics and gastrointestinal disturbances.